A good one to make up…it looks so yummy!!! This was a good one! My only regret was that I didn’t go get myself a torch. When I make it again this winter (for some reason, this is a winter dish for me), I’ll correct that oversight. Your pavlova must be fantastic, too, to disappear that quickly. How fun!! I love, love pavlova too, so I’m with your daughter. 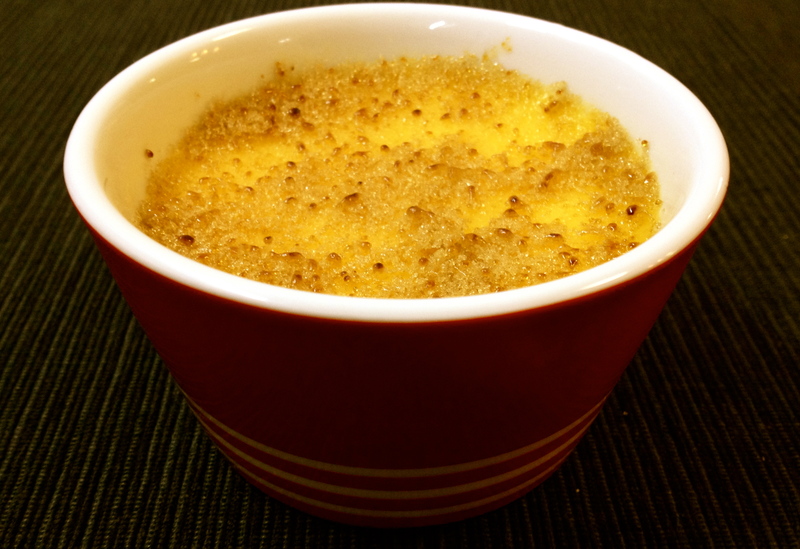 But your creme brulee looks fabulous! Not fair. You eat Creme Brulee and Pavlova (what recipe do you like best – you didn’t include it) and we eat Aubergine! When the Creme Brulee recipe was chosen for FFWD, I did buy a darling little blow torch. Then Life got in my way and I didn’t participate that week. When it’s stormy and wintry, I’ll return to that recipe. Be sure and look at the Posts this week before trying the eggplant tartine – lots of good suggestions. I think creme brulee is always a good choice! Pavlova — the national dessert of Australia! Or so I’ve been told. And what a perfect complement to alternate with the creme brulee. That was a fun recipe. And yours look so nice and crackly on top. Another one where I use egg yolks is a key lime pie. Quite American, not Australian, but worth a try. Have a great weekend, Sanya. P.S. Thanks for sharing the Maya Angelou quote. I hadn’t heard that one before, but I love it. I’m going to post it over my desk for daily inspiration. Sweet! and your quotation is so much better than mom’s admonition of “You know better than that!” Maybe we didn’t! 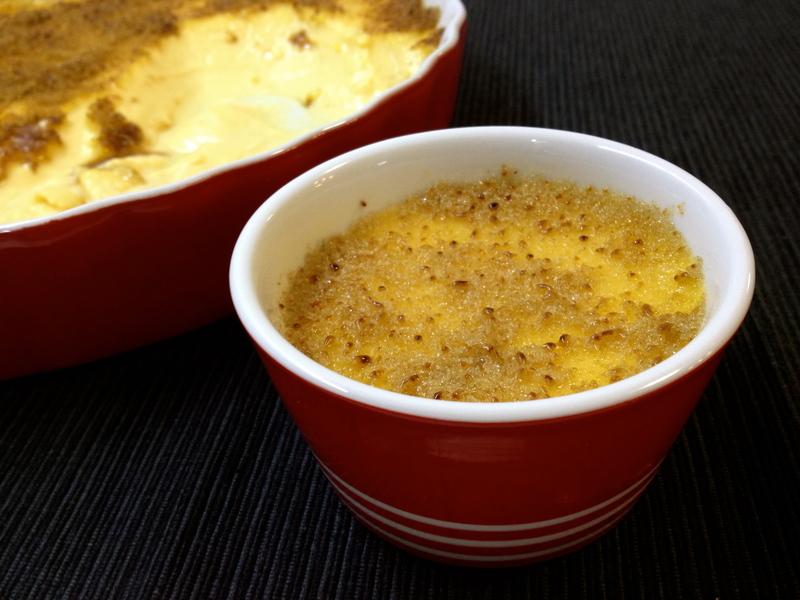 Your creme brulees look festive and perfect! And with such a low oven temp, no need to call in the fire department:-)Merry Christmas to you and yours!